Another reason our used office furniture is so premium is because we have an in-house refurbishment team that is able to make any necessary adjustments before putting the piece up for sale. Additionally, we inspect each piece and ensures it functions as it should. 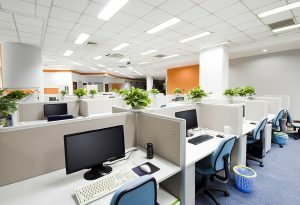 At ROF, we also have a fleet of moving trucks and a team of professional installers who will be happy to setup and wire the furniture for you right in your office space. No matter how large or small your order is, rest assured weâ€™ll get it to your office as soon as you need it there. To see for yourself the used office furniture that we have available, feel free to stop by our warehouse located just a short drive away from Orlando, FL. For more information on our products and installation services, contact ROF today; weâ€™ll be happy to answer any of your questions.